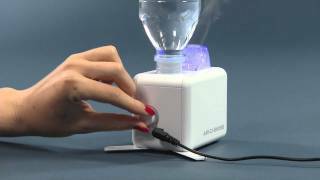 The handy Travel Humidifier lets you enjoy good air quality not only at home or in the office, but also when out and about! 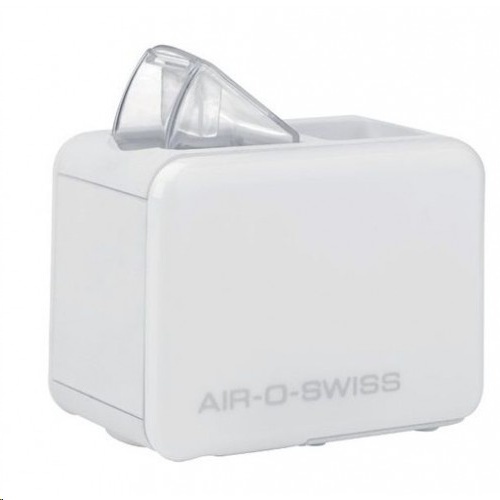 The compact Humidifier fits snugly into any piece of luggage to provide you with well humidified air - wherever you are. 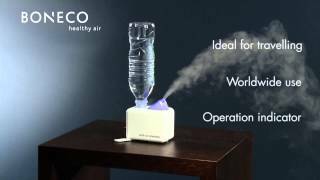 Just pop on a PET bottle, connect the appliance and enjoy healthy air in your room. The variable mist output control lets you set the humidity output just as you like. The handy travel companion switches off automatically when it runs out of water. Thanks to effective high-frequency technology, the water is converted into a micro-fine mist and given off to the indoor air by a fan. The quiet appliance provides the perfect level of humidity for rooms up to 20 m² (215 sq ft) and can be individually controlled using the output regulator.